Operating on the DeWALT® battery platform, Klein’s new battery impact wrench delivers up to 500 ft-lbs of torque. Control the output with the variable speed trigger. Ideal for line work, this wrench is fitted with a 7/16” hex quick-change chuck and lifting ring for an easy haul on a handline. 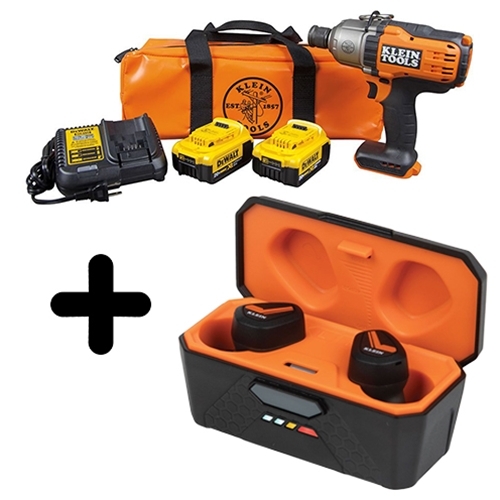 Full kit Includes: impact wrench, (2) batteries, (1) charger, and carry bag. Klein High-Torque Impact Wrench Kit has a rating of 4.9 star based on 7 reviews.